Relocating from one place to another, whether around the corner or all the way to another side of the globe, has an impact on several things, including the cost of moving, disruption, and even an emotional impact. But did you ever stop to think about the impact of relocation on our Mother Nature? Perhaps not! An impending house move can put enough stress on your mind. Amidst the chaos of packing and ensuring a smooth transition, who has the time to stop and think about where will the things that we are planning to throw out end up? We need a lot of bubble wraps and cardboard boxes to secure our valuables, right? But after unpacking, where will the waste end up, landfills? Well, the impact of relocation might not be on top of your moving to-do list, but it’s not that difficult or expensive to plan a greener move. In this post, we list out some simple and effective ways to make your move eco-friendly and hassle-free. Dig in! 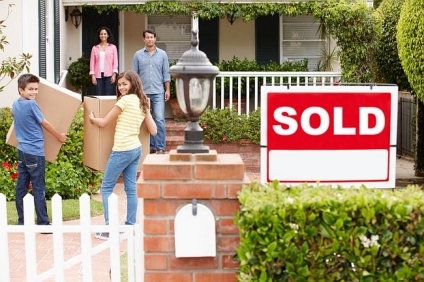 Home removal is a task, but it’s also a chance to make a fresh start! Although it’s the perfect time to get rid of the things you don’t want anymore, throwing them in a bin is not a good idea. So, before tossing out things to fill boxes, make a bag of the stuff you don’t need. Shuffle smartly and put the donated goods in one bag and non-donated in another. Recycling is not just about donating plastic bottles and boxes; there are many other goods that you can recycle as well. Be it old electronics or batteries; you can use them in many ways. For batteries: Take batteries to a local library or post office that already has a recycling center for batteries. Stuff like this contains lead, sulfuric acid, and cadmium which can leak. So instead of taking them along, take them to recycling centers. Electronics: Many local resource recovery centers take old electronics and cords. If you have one lying in the basement, give it to recovery stores or use them for goodwill. Many places accept the donation of such goods. Paint cans: Many centers accept open bottles of varnish, paint, and stains. Appliances: Old appliances also contain lead and other harmful substances that can hamper the environment. So instead of putting them in the trash, send them to recycle centers. People mostly use bubble wrap and other packing peanuts to safeguard their goods. Although these things are handy, they are not recyclable. So, where do you find recyclable materials? Old newspapers and magazines make perfect packing materials. Before moving, gather old newspapers or magazines and make them useful for wrapping. You can also use clothes as packing material. But don’t use fresh ones, use rags or the ones that you can’t donate. You can also use corrugated boxes for packing as they are very easy to recycle. Or you can use a returnable box service where you can return bins after use. Use grandparent’s tricks for a clean house! Don’t use harmful chemicals; instead, use eco-friendly products. You can use vinegar, baking soda, and even ammonia for cleaning as well as laundering. These eco-friendly products make a perfect replacement for all-purpose cleaners and kitchen cleaners. Mix baking soda with water and clean spots on cabinets and tables! Get them from your kitchen and give your home that eco-friendly finish! After all the new owners should see how beautifully you have kept your abode. Transporting from one place to another is a tough and money consuming job. No matter how many loads you have, be it a full truck or not even half, you must have a truck for that. So if you have few cartons, share your truck with someone who is locating to the same place. Many companies provide sharing services. If you already have containers lying in your home, you would need only few more things to tote your stuff. Haul out your boxes, suitcases, and bins and fill them. Don’t use paper to pack things that are delicate. Instead, use pillows to pack fragile stuff. Many companies rent reusable containers which are made from plastic. Ask them and get few for your stuff. Not only it is eco-friendly, but they are also more cost-effective than other cartons. When looking for reputable home removal company to help you take your stuff, look for the environmental credentials as well. Ask questions like what the company uses for moving, a gas guzzling truck or biodiesel rigs? Do they sell recycled boxes? Will the movers pack your stuff? And, many more. So, those were some of the most effective and used full tricks to make your moving green! Who hasn’t said that? When it comes to flipping, we all think we’d be naturals, right? Or at least more skilled than the novices who are fumbling through it on TV. But it takes more than big dreams and good intentions to execute a successful flip, and with so much money at stake, you want to make sure you do it right. Actually, you want to make sure you’re right for flipping in the first place before you put your financial future on the line. Take the house flip personality test to make sure you’re a fit. No one’s really going to answer, “No,” to a question like this, but put it in the context of flipping. If you think it’s easy money and you aren’t really looking to put in the sweat equity or follow the basic rules of flipping, you might want to move along. Smart and savvy are not the same thing. Knowing where to save and where to spend is one of the most important factors when flipping. 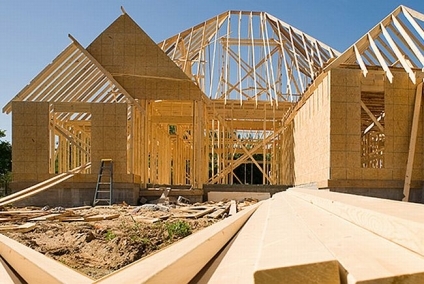 Buying a home just because it’s affordable and in need of renovation is not a great strategy. People actually have to want to live in the area where the home is located. Paying attention to hot areas can help you pinpoint the right spot. You also need to pay attention to the home’s proximity to your home. Trying to manage a flip from afar is hard even for the most experienced investors. Do you make it personal? You may have the greatest personal style in the world, but, when it comes to flipping, you want to make sure you’re making the right choices to bring you the most money. Likewise, you may have your eye set on some specific updates and upgrades, but adding in what you want, and not what buyers are looking for, may make your flip a flop. Smart planning, extreme organization, and a great, trustworthy team are all crucial to a successful flip, obviously. But if you’re the type that flips out (literally!) if something changes, goes wrong, or looks like it’s all about to fall apart, this might not be for you. Flipping is a roller coaster, and there are going to be frustrations and setbacks along the way. Accept it, deal with it, and move on. Is this a get rich quick thing or are you thinking of flipping as a career? Are you interested in doing quality work or is it just about making the place look good and getting out? Being honest about your goals will help guide you throughout the process, but keep this in mind: cut corners and shoddy work may save you money upfront, but may impact your bottom line. And, if you plan to flip more than just one home, you don’t want to earn a reputation for sketchy work. Even if you’re the DIY King of North America, you’re going to need help somewhere, at some time. The best flippers have a contractor they can count on and assorted other trusted professionals for plumbing and electrical, landscaping, appraisals, title insurance, and so on. Flipping is going to cost you, even if you find the magical lipstick on a pig house. And many people underestimate the potential costs, from the down payment to the carrying costs if it doesn’t sell right away. To understand what buyers expect, sellers benefit from taking a long hard look at their main rooms after spending a few hours binging on home-renovation shows or pouring over home-decor magazines. Get it? If the resale house or condominium unit doesn’t have spa-like bathrooms, an oasis-style master bedroom suite, and an airy (that means new, larger windows) open concept (down come those kitchen, diningroom, and livingroom walls) central living space, buyers will only see massive, expensive renovations to achieve these “must haves.” The result? Remember, sellers should concentrate on what target buyers want in their “dream home,” not on what sellers have been comfortable living with for years. Remind yourself of why you’re moving in the first place. A job transfer, or is it a voluntary choice? Obviously, whether or not you had some degree of control over the decision will affect your outlook. Regardless of your answer to that question, round up as much information as you can about your new hometown. What kinds of cultural offerings does the town/city offer? What are its landmarks and natural attractions? Research some possible day trips you might take with the family once you’re settled. Is your new hometown near state borders, giving you the opportunity to explore different regions of the country without much effort? Envision your new home. Where will you place the furniture? Remind yourself of the home’s primary selling points. Will you have more space? More closets? A large backyard and/or swimming pool? What does your new street look like? Do a lot of young families reside there? If so, your children are likely to be reassured by that knowledge. As often as possible, try to picture yourself and your family fully adapted to your new environment. Remember to have a little fun occasionally. You’re still allowed, even if you feel as if you don’t have a penny left to your name. Take the family out to dinner, to a movie or a picnic — anything that gets all of you out of the house and away from boxes, paperwork, emotions and all of those pre-move concerns. Keep a regular “date” to get out together — for example, every Friday night leading up to the move. Take your mind off your stress for a few hours, and remind yourself that your family members are experiencing many of the same emotions. Like misery, stress often loves company, so enjoy your time together and remember that this stress won’t last forever. Regardless of what you’re feeling now, the move will happen and everything will eventually fall into place. Journeying into the unknown is what makes life rewarding, so trust in your Realtor’s expertise and in your family’s resilience, and look forward to the journey ahead. Bring in the light. Sometimes small kitchens can be dark, making them feel even smaller. But if you remove the curtains from any windows in your small kitchen, it’ll let light in and open up the area. Instead of curtains, you can use small blinds that are recessed inside the frame of the window. These are easy to clean and still provide some privacy even when the blinds are open. De-Clutter the counter tops and the walls. Most people have a tendency to let kitchen clutter build up on the counter tops and walls. Removing items from the counters, kitchen table, and even off the walls will make the space feel bigger. Yes, I know these items on the counters are useful but when you’re selling your home, a little inconvenience may help you receive a higher offer and you’ll probably agree, that’s worth it! Take the appliances and either store them in the kitchen cabinets or, if there isn’t enough room, pack them up. You’re moving soon, anyway. Clearing off photos and miscellaneous papers that are stuck on your refrigerator door or kitchen walls will also help make your kitchen look bigger. If you’re tight for space, mounted storage units can be added to your kitchen walls to free up limited counter-top space. But again, too many storage units, even the decorative kind, will give people a feeling like the walls are closing in on them. The same goes for hanging pot racks from the ceiling. Be sure to leave some open wall space and to use storage units that aren’t completely solid. The open units, if the shelves aren’t stuffed, will give a less closed-in feeling. Wall-mounted appliances and reduced counter-top depth. 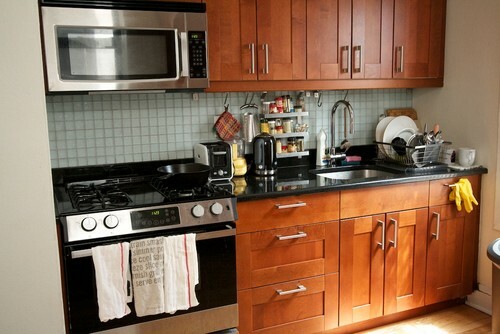 Wall-mounted or under-the-cabinets-mounted appliances can save valuable kitchen counter-top space. You might even have a way to wall-mount your kitchen faucet. In one small home design, the faucet was mounted to the wall, creating a very distinctive look. The counter-top was a standard 24 inches deep but elsewhere the counter-top was reduced just slightly down to 21 inches–very subtle and hardly noticeable but it allowed more floor space in a tiny kitchen. Small kitchens don’t have to be an eyesore. Some even prefer less space because there’s less to clean. If you know the audience you’re marketing your home to, you can play up the home’s best features–including, perhaps, a small, quaint, and simple kitchen. Selling your home takes a lot of hard work. After you’ve found a Sales Associate, completed repairs and staged your home, the rest should be easy, right? Most of the hard work will be the job of your Sales Associate, but you’re not done. Showing your home can take a lot of your time but it doesn’t have to cause stress if you have a plan. How do I Arrange for the House to be Shown? In addition to open houses, your Sales Associate will be bringing potential buyers to see your home individually. Let him or her know how much notice you will need prior to confirmed appointments and how you want to be notified. You will still need to be flexible since sometimes you will get last minute requests. Remember, even in the worst case scenario, a buyer coming to see your home is what you want. Don’t turn someone away because you’re afraid your home won’t be ready. If someone asks to see your home on short notice, they should understand that it won’t be perfect. Most of the traffic will occur during the first 3-4 weeks, but don’t worry if you don’t sell your home within this time. Most houses have a longer average Days On Market (DOM). The national average was 66 days in June, 2015, according to the National Association of Realtors®. If you are concerned that you aren’t getting enough traffic after several weeks, speak with your Sales Associate about modifying your marketing strategy. One of the most stressful parts of selling your home is keeping it ready for showings on short notice, especially if you have children or pets. In order to sell your home, the buyer must be able to picture themselves in your space, but that’s hard to do if there are toys in the living room or paw prints on the tile. Hopefully, you removed most of the clutter beforehand, so there is less to clean. Still, keeping your home ready to show can be a challenge. It will be easier to clean if everything has a home. Try not to leave anything for later, as you never know who may call between now and then. It’s easier to wipe up a mess if the necessities are nearby. Make a game out of returning toys to their proper home. Only use this as a last resort, but items can be hidden in drawers, under the bed, in suitcases and in the trunk of your car. A lock box is a small electronic device that securely holds your front door key. Your Sales Associate will provide the box and attach it securely somewhere near your front door. Lock boxes have changed significantly over the years. They used to be small, combination boxes opened by a key to your home. Now, most lock boxes can only be opened by a real estate professional and, in some cases, an ID card is required. Many types of lock boxes will now record the time and name of an agent who is accessing your key. record the time and name of an agent who is accessing your key. How do I Cope With the Stress of Selling a Home? In addition to keeping your house clean for short-notice showings, you must find a place to go during these times. This can also be difficult if you have kids or expensive if it happens often during mealtime. Planning ahead can save you both stress and money. Run errands, visit friends, or relax in a park or your local library. If your showings fall around mealtime, instead of going to a restaurant, try packing a picnic or ask a relative or friend if you can use their kitchen. It’s also ok to stay at home during a showing and, of course, you can say no if there’s an emergency. Sometimes things happen and we have to deal with them first. 1) Most of the traffic will occur during the first 3-4 weeks of listing your home, but don’t worry if you don’t sell your home within this time. Most houses have a longer average Days On Market (DOM). The national average was 66 days in June, 2015, according to the National Association of Realtors®. 2) If you get a last minute call to show your home, don’t turn someone away because you’re afraid you won’t be ready. If someone asks to see your home on short notice, they likely understand that it won’t be perfect. 3) Keeping a house ready for a last-minute showing can be stressful. If everything has a home, it will be easier to clean and leave no mess behind. You never know when someone will call. 4) If a showing falls around mealtime, try packing a picnic or asking a relative or friend if you can use their kitchen instead of going to a restaurant. Remove prescription medicines: Despite qualifying by the buyer’s agent, some buyers have other intentions than buying your home. It’s also a good idea to lock your personal papers such as checkbooks away. Do not leave mail out on your desk. For many first-time buyers, buying a home can be a scary experience. They know they’ll be maintaining or improving a home with little to no maintenance experience, so the solution is to buy a home in perfect condition. So they hire a home inspector to point out all the flaws. The problem is — no perfect home exists. Air conditioners break, plumbing pipes leak, and roof tiles blow off in the wind. If you’re buying a home, start with a reasonable expectation of what home inspectors can do. Their job is to inform you about the integrity and condition of what you’re buying, good and bad. A home inspection should take several hours, long enough to cover all built-in appliances, all mechanical, electrical, gas and plumbing systems, the roof, foundation, gutters, exterior skins, windows and doors. An inspector doesn’t test for pests or sample the septic tank. For those, you need industry-specific inspectors. Here’s what else you need to do. 1. Make sure the inspector you hire is licensed. The responsibilities of home inspectors vary according to state law and their areas of expertise. 2. Ask what the inspection covers. Some inspection companies have extensive divisions that can provide environmental for radon and lead paint. Be prepared to hire and schedule several inspectors according to your lender’s requirements and to pay several hundred dollars for each type of inspection. 3. Some inspection reports only cover the main house, not other buildings on the property. For specialty inspections such as termites, make sure the inspection covers all buildings on the property including guest houses, detached garages, storage buildings, etc. 4. Attend the inspection and follow along with the inspectors. Seeing problems for yourself will help you understand what’s serious, what needs replacement now or later, and what’s not important. 5. Don’t expect the seller to repair or replace every negative found on the report. If you’re getting a VA or FHA-guaranteed loan, some items aren’t negotiable. The seller must address them, but otherwise, pick your battles with the seller carefully. 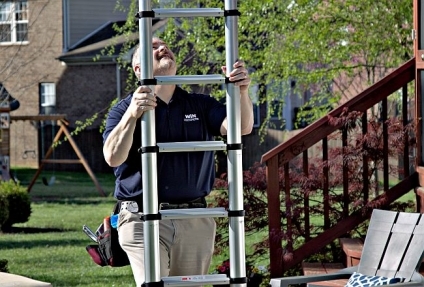 A home inspection points out problems, they also point out what’s working well. It can help you make your final decision about the home – to ask the seller to make repairs or to offer a little less, to buy as is or not to buy at all. David Yu, CFP® is a CERTIFIED FINANCIAL PLANNER™ with over 10 years of industry experience helping people make smart, lasting financial decisions. Visit www.pacunited.com for more information. Today, there is more to selling a home than listing it on the Multiple Listing Service (MLS) and holding an open house. There are cost-effective tips for reaching more people to sell your home. You’ll be surprised how much your Weichert Sales Associate can do to help get the word out. 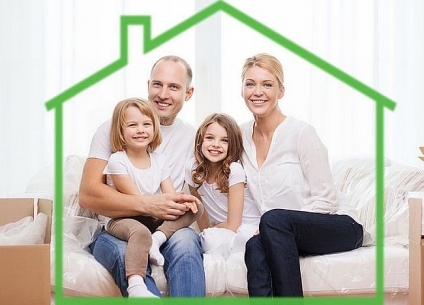 Do You have a Marketing Plan for Your Home? According to the National Association of Realtors, 90% of home buyers search online during the home buying process. The internet has opened up the real estate market to a much wider audience. Setting up a specific website for your home and using social media are possible ways your Sales Associate may recommend for making sure the information about your home reaches the widest audience. Ask your Sales Associate about their internet strategy and work together to find the best way to reach potential buyers. 90% of home buyers search online during the home buying process. Do You Want to Make a Video? According to the National Association of Realtors® study, “The Digital House Hunt,” 70% of buyers who use the internet use videos to tour the inside of a home. A video can show details and flow in a way that photos cannot. Ask your Sales Associate for recommendations of professional photographers for virtual tours. As with any marketing idea, speak with your Sales Associate first to make sure you are showing your home in the best light. How can You Use Social Media Outlets? Social media is another tool that can be used to reach more people in your local area. Discuss a strategy with your Realtor®. They probably have a plan in place and you may be able to supplement it. If not, ask them to post the images on Facebook, Instagram, Pinterest and any other sites that you feel might reach potential buyers. Depending on your potential buyer, this could be the best way to let the most people know that your home is for sale. Do You have a Plan for Publicizing Open Houses? In addition to the MLS listing, your website or social media pages, there is additional advertising online and in traditional media, like newspapers, for a special event like an open house. In addition to sharing the information with your friends, neighbors and online connections, speak with your Sales Associate to find what has worked best in the past and how you can help get the word out. Who will Write the Copy for the Listing? Most often, your Weichert Sales Associate will write the copy describing your house for your listing. Ask to preview the copy and discuss any ideas or features that you would like highlighted. Consulting with your Sales Associate will help you find the best way to showcase your house. 1) According to the National Association of Realtors, 90% of home buyers search online during the home buying process. Setting up a specific website for your home or using social media as a hub can help you reach a wider audience. 2) A video can show the details and flow of a home in a way that photos cannot. Make sure your home is well lit and show both the inside and outside. Keep the video under 3 minutes. 3) Consult your Sales Associate about posting the images on Facebook, Instagram, Pinterest and any other social media sites you feel might reach potential buyers. A Realtor® can be the key to selling your home quickly and for the highest price. He or she will be with you from preparing for sale to closing. They have helpful knowledge about the local area and the local real estate market. Realtors understand the intricacies and importance of pricing your home to suit both your needs and the market. Not all real estate agents are Realtors, but all Weichert Sales Associates are. To claim the title of Realtor, as our Sales Associates do, you must hold a state license and complete additional training above and beyond federal and state regulations. Realtors are also required to adhere to a code of ethics and professional standards. Using a Sales Associate who’s a licensed Realtor assures you that he or she has been properly trained and has pledged to promote your interests as a client first. Ask for recommendations from professionals, like other realtors if you are searching for something outside of their specialty, real estate lawyers, accountants, etc. While all Weichert Sales Associates are members of the National Association of Realtors and receive the added education required to become a Realtor, our new Sales Associates are also given supplementary training through our industry-leading training department, Weichert University. Upon graduation, they are coached in the field by a successful, seasoned professional. While we hope that you will choose a Weichert Sales Associate, it’s important to be comfortable and confident that the person you choose will help you sell your home as quickly as possible for the best price. How many homes have you sold in the last year? What were the details (the price range, the location, the difference between asking price and final selling price)? Although these answers will depend on market trends, it will give you an idea of a Sales Associate’s experience and ability to price homes correctly. Do you have any suggestions for me to prepare my home for sale? Your Sales Associate will know the local market and which options are most popular at the moment. Some also offer staging as a service. Your Weichert Sales Associate will offer you their Pledge of Service which specifies the type of communication and level of service you can expect. What separates you from other Sales Associates? Look for someone who communicates clearly their process for pricing your home, including a marketing plan and the tools he or she will use to make your property attractive and visible to as many buyers as possible. Speaking to former clients may give you some insight into working with a particular agent. Which professionals do you recommend during the home buying process? You may need recommendations for staging and packing companies, contractors and real estate attorneys. How do you plan to market my house? Your Weichert Sales Associate will create a customized marketing plan for your particular home that includes local marketing, open houses and an internet strategy to expose your property to buyers and then respond quickly to all who inquire about it. How will My Sale Price be Determined? Choosing a listing price is one of the most important factors in selling your home. It will take a combination of research, strategy and psychology to find the highest number that will attract the largest number of buyers. The listing price will mostly be based on the prices of comparable homes (comps) in your area. Your Weichert Sales Associate will perform a Price Trend Analysis* that goes beyond a typical Comparative Market Analysis (CMA). It measures the direction of your local market including: the current supply and demand, properties that are under contract as well as those that sold 6 and 12 months ago. It also factors in the average days on market to help predict where prices will be in the future. You should also consider internet search parameters. Most buyers search by wide, round numbers. A home may be worth $305,000, but it could be lost if a majority of comparable homes are under $300,000. * A Price Trend Analysis is not an appraisal and should not be considered to be the equivalent of an appraisal. What is My Timeline for Selling? Be sure to mention any timelines to your Sales Associate. Stating your expectations upfront can eliminate frustrations later. Remember, a home receives the most attention when it is first listed and can lose value with additional days on market (DOM), so it cannot hurt to implement any of these options even if you are willing to be patient and wait for the right offer. 1 ) Before you sign an agreement, take the time to ask your Sales Associate some questions and get to know him or her. 2 ) Setting a listing price is a combination of research, strategy and psychology. It is mostly based on the price of comparable homes, but can also be affected by market conditions, seller needs and season. 3 ) If you need to sell your home quickly, staging it well and hiring a professional photographer can help you get a fair price in a short time frame. The Spring selling season is on, and if you’re considering listing your house, it’s time to get it in tip-top shape. You may think your home is already listing ready right now, but a real estate agent may not agree. These eight activities will help you put your best house forward. 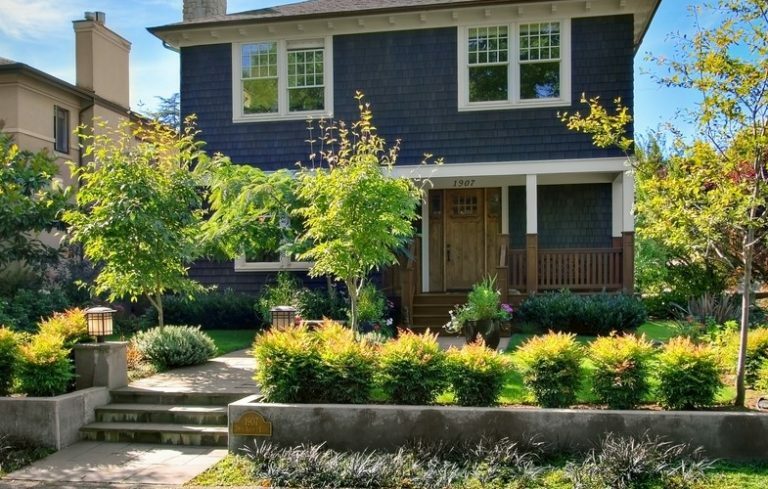 You can’t underestimate the power of curb appeal. An unkempt yard, chipping paint, even a mailbox that’s seen better days can turn off a potential buyer – or turn one into a bargain hunter. And you don’t want either. Chances are, you don’t look much at your front door because you come in and out of the garage. A buyer approaching your house will notice if your door isn’t pristine and may project the lack of pristine-ness onto the rest of the house. A fresh coat of paint is inexpensive but the impact is dramatic. Light bulbs, handles, and hardware, oh my! Burned-out bulbs, loose handles, and hardware that’s worn, scratched, or rusted is easy to take care and can help your place look finished. Look up! How’s that ceiling fan? You’d be surprised how a little thing like a dusty fan can impact a buyer and turn them into a non-buyer. Get out that duster and hit all the corners and window sills you never notice. And then clean all those windows so when you open all the blinds and drapes to let the sun shine in, the light doesn’t get blocked by smudges and fingerprints. Come in through the front door and examine every inch of the house. You’ve probably been ignoring little things that have just become part of the landscape. A scuffed baseboard here. A broken switchplate there. Even the pile of shoes in the front hall that you don’t even notice anymore. Potential buyers will, and these little things could be enough to turn them off. “Once you’ve decided it’s time to sell your home, start to look at it with an objective eye,” said Family Handyman. “If you were the potential buyer, what red flags would you see when you walked around your house and yard? Don’t fool yourself into thinking people won’t open doors and drawers and look through everything (Side tip: Hide your valuables before showings, just to be safe!). You don’t have to worry about being judged for your fashion sense—although, you might want to pack away those ‘80s parachute pants! You should be more worried about whether buyers will walk away because they think there isn’t enough closet or storage space, or it’s not efficient space. You have to pack anyway since you’re moving, so start early. Empty out closets, cabinets, and storage areas so the space looks sufficient and nicely organized. For closets, the idea is to make them look filled, but not overfilled. Create space between hangers and fold other items neatly on shelves. Make sure there is ample space for shoes because, let’s face it, this could be a deal breaker for some people. Speak to your Sales Associate: Weichert Sales Associates understand the local trends and can give you the best tips for getting the best return on your investment. Get inspected: Presenting a home inspection to potential buyers makes your bargaining position stronger by bringing any issues with your home into the open. Create space: The current trend is toward open floor plans and great rooms. De-clutter as much as possible and use light colored drapes or blinds to create the illusion of space. Keep your landscaping tidy: The appearance of your home will be the first impression and having a neat appearance promises that the interior of the house is well-kept too. Clean up: Neatness and tidiness give the home a more spacious, open feel. When things are clean, they look newer and more valuable. Upgrade the bathroom: Some bathroom upgrades can be expensive, but smaller items like replacing faucets and cabinet hardware can give the room a new look. Paint the walls: Neutral colors make it easier for potential buyers to picture themselves in your home. High traffic areas and bright colored rooms should be repainted. 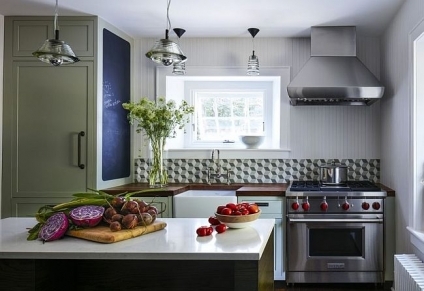 Update the kitchen: Kitchens are often the center of the home and small changes, like changing the faucet or a single appliance, can yield big results. Remove or replace any red flags: If you walk by something in your home and think, “We should probably fix that,” now is the time to do so. Do I have any Contingencies and will They Affect the Selling Price or the Timeline? Contingencies are terms in the contract that must be met before the transfer of ownership of the home can take place. They can make the sale conditional on inspections, insurance, financing, the sale of another home, and more. Both sellers and buyers can place contingencies in the purchase contract. Seller’s contingencies that change closing or move-in dates are often enough to scare off buyers. Some people are patient and are willing to rent the property back to you. To facilitate the sale, both parties should try to require as few contingencies as possible. To facilitate the sale, both parties should try to require as few contingencies as possible. What is the Process of Working with a Weichert Sales Associate? He or she will come to your home to assess it and answer your questions about the current real estate market. 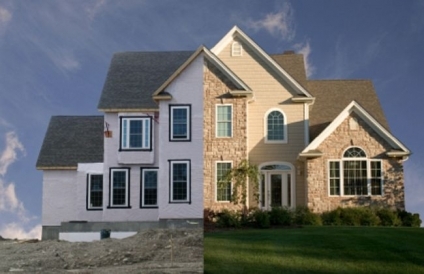 Together, you’ll decide which improvements will increase the value of your house. Your Sales Associate will measure your home, take pictures and write the copy to publish when you are ready to list it. Setting the list price is very important when selling a house. A Weichert Sales Associate will perform a Price Trend Analysis*, a unique pricing tool which incorporates market trends to help you determine a fair price. Once you have made all of the improvements, your Sales Associate will prepare the profile sheet to list your home in the Multiple Listing Service (MLS) so that all real estate agents will have access to the information about your home. Like your Sales Associate, agents from different companies will want to show your home to their clients. Your Sales Associate will coordinate these visits and host open houses. Your Weichert Sales Associate will be the facilitator of all offers from all potential buyers. He or she will help you understand the strengths and weaknesses of each offer, as well as any contingencies, and then deliver the signed offer to the buyer’s agent. Your Sales Associate will help you through all of the small steps that need to be completed for a successful sale. You’ll need to review the inspection. You’ll have to gather the correct disclosure paperwork, as required by law so the closing won’t be delayed. Your Weichert Sales Associate will be present at closing to walk you through the process and explain the steps as necessary. What is the Average Time for Selling a House in the Current Market? Is There Anything that can be Done to Change that Time? The average selling time depends on market conditions. Your Weichert Sales Associate will be able to tell you the average Days On Market (DOM) for homes in your area. The pricing and the condition of your home will make a big difference in how quickly it sells. If you are selling a house that is similar to most of the homes in your neighborhood, priced fairly and presented neatly with an inspection to show that there are no hidden issues, it should sell within the average number of days on market in the area. Does Days on Market (DOM) Affect the Price? Although the number of days that a home has been on the market is just a number, it can affect how the buyer negotiates. If the home has been up for sale for a long time, they might feel that they can make a lower offer because the owner will be more eager to sell. Most MLS services list the cumulative Days on Market (CDOM), so it’s no longer possible to hide the number of days by de-listing and re-listing a home. Newly listed homes receive the most traffic in the first 30 days. 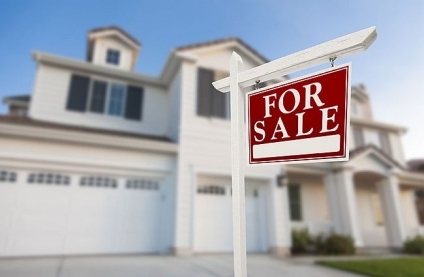 It’s best to put your best foot forward by not listing your home for sale until you are ready. It also underscores the need to price your house fairly at the start if you want to sell it quickly and for the most money. What are the Costs Associated with Selling a Home? The commission is shared between the buyer’s agent and the seller’s agent. The balance of your loan will be due at closing. You are responsible for the property taxes until you turn over the deed. It varies by location. Either the buyer or the seller must purchase the title insurance. It’s a good idea to have a home inspection before you list the house to show that there are no hidden problems. These vary by state and municipality. Your Weichert Sales Associate can let you know the specifics. Whether you do this yourself or hire packers and movers, there are costs associated with relocation. You’ll have to pay any monies owed to your HOA. Some homeowner’s associations charge a transfer fee. If you’ve agreed to pay any of the closing costs for the buyer or purchase a home warranty, this will decrease your profits. Selling a house “as-is” means that the seller is not going to make any changes to improve the home. It also gives potential buyers the signal that there might be significant underlying problems and therefore should come at a discount. Most buyers will include a home inspection contingency, so having the inspection done in advance can work in your favor. “As-is” homes are not required to meet codes or to have an inspection unless the buyer has an FHA (Federal Housing Administration) loan, but the seller must still disclose all of the known problems. Seller must still disclose all of the known problems. 1 ) When selling a house, your Sales Associate can help you assess which improvements will increase the value the most. 2 ) If you are selling a house that is similar to most of the homes in your neighborhood, priced fairly and presented neatly with an inspection to show that there are no hidden issues, it should sell within the average Days On Market (DOM) in your area. 3 ) There are several costs associated with selling a home, including the balance on your mortgage, prorated property taxes, federal and local taxes and fees, commission, homeowners association fees and any buyers’ incentives promised during the negotiation. 4 ) Selling a house “as is” can save the seller money by not needing to make any repairs, but also sends a signal to the buyer that there might be serious underlying problems. Assessing the value of your home, your needs and your timeline can change a multitude of factors. How quickly you need the proceeds of the sale and the market conditions can help decide your path as you prepare to leave your current house. It’s a balance of current and future needs and the route you choose can always be changed until you enter into a contract. Is It Better for Me to Rent My Home or to Sell? Deciding whether it’s better to rent or sell will often depend on the conditions in the market, your needs, your timeline, sale prices and rental prices. Historically, owning rental property is a great investment, but it’s not without pitfalls. Determining whether you can cover your mortgage with rent and if the property will appreciate is a challenge that takes research and analysis. Start by evaluating the current market conditions. Ask yourself the following questions: What is my home worth in this market? How much are homes selling for in my neighborhood? What is the average rent? Is the value of the house likely to rise or fall in the next several years? If it’s likely to fall, it might be best to sell the property now. Next, analyze your current situation. 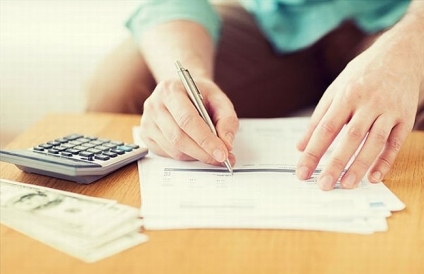 How much do you owe on your home? 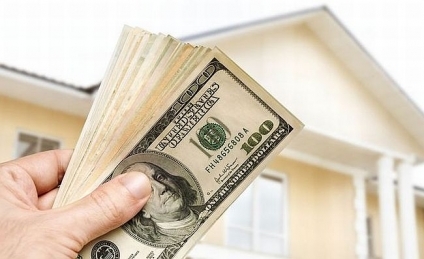 Do you have enough for your down payment without selling it? Will the rent checks cover the mortgage? Do you have the temperament or desire to be a landlord? 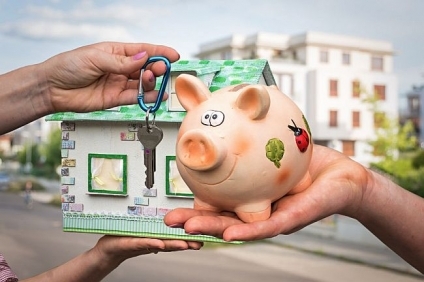 Can you afford to cover the mortgage if your renter cannot? Tax rules for landlords can be favorable, so what will the tax implications/gains be? If you need to move on quickly or don’t have the patience to deal with potential issues, selling might be the best option. If you think that the house might appreciate and you can move on without needing the income from the sale to purchase your next home, renting might be the answer for you. Current market dynamics and personality can influence whether you choose to buy or sell first. In a buyer’s market, sellers are less likely to have issues with contingencies and may be willing to take more risks to sign a contract. A seller’s market favors buyers who have already sold their homes and can make a cash offer. As for personality, some people like to know that they can sell before they look to buy another home and others like to know where they are going to live before they sell their current home. There are benefits to each. Speaking to a Weichert Sales Associate can help you better understand the current local market conditions and gauge a timeline for each option. Before making the decision, the first question to ask is, “What is my home worth? The amount of equity that you have in your current home could have a large impact on the home that you are able to afford. Also, you’ll want to evaluate the mortgage for which you’ll qualify and your ability to carry those new monthly payments in addition to your current mortgage. It might also help to start to look for your new home. If you see a few options available that you can afford, it might be a safer option to put your home on the market. Buying first offers the security of knowing where you are going before you sell your current home, but also comes with some risks. If you have very specific needs which could lead to a prolonged home search, like location, size, age or extended garage space for example, you might want to considerer finding your new home first. One risk is that it can be harder to get a mortgage for a second home. This can be overcome by using a Home Equity Line of Credit (HELOC) to cover the down payment, but this only works with significant equity in your current home, assuming you have the ability to carry new monthly payments in addition to your current mortgage. Another possibility is that you might feel pressured to take a lower offer on your first home to avoid being burdened with long-term debt that you cannot afford. Selling first offers the most control. If the buyer is agreeable, it might be possible to rent back your home for up to 60 days. It’s always possible to move into another short-term rental, although that adds the stress of moving twice and storing your belongings. If you do choose to sell first, you will not need a sale contingency which means you will have more power when negotiating your purchase price. External Characteristics – Condition of the structure, lot size and exterior amenities, home style, the age of the roof. Internal Characteristics – The number and size of the rooms, quality of construction, the age of the appliances, the age of the heating and cooling systems, energy-efficiency. Market Conditions – The number of buyers vs. the number of homes on the market. Location – The school district, neighborhood, proximity to public transportation or highways. To gain a more accurate picture, find homes that have recently sold that have comparable lot size, home style, number of bedrooms and bathrooms, square footage, age and location. Details of these transactions can be found at the local tax assessor’s office, online and through your Sales Associate. Their final sale price will help you estimate your home’s value. Should I Try to Sell the Home Myself or Should I Work with a Realtor®? In the industry, it’s called For Sale By Owner or FSBO (sometimes pronounced fizz-boh). There is no law that requires the use of a Realtor®, but many homeowners don’t realize all of the details that go into completing the sale of a home. If you decide to go this route, start by learning the laws in your state that govern real estate transactions. There are state-mandated disclosures and rules about who can conduct the actual transaction and what to do if there is a delay in transfer of ownership. If you miss a detail, it could delay the closing and affect your future purchase and final sale price. After you understand the laws, the next step is to understand the market conditions so that you can present your home in the best light possible and price your house accordingly. You’ll also need to prepare for showings, assemble disclosure documents, create and distribute marketing materials, put up signs, plan open houses and arrange for visits to your home around buyers’ schedules. Once you receive offers, you’ll evaluate them and choose whether to accept or reject them or continue to negotiate. You will need a way to validate their pre-approval or verify their proof of funds. It will also be up to you to decide whether to continue to look for a backup offer. You’ll coordinate through your closing agent and be available for all inspections and appraisals. You’ll handle all last-minute negotiations over problems found during inspection and attend closing, possibly with an attorney. Selling a home yourself is a lot of time and effort. Weichert Sales Associates start on the clock when you first call them to list your home and work with you through the closing. They’ll use their considerable resources, including in-depth understanding of the industry, the process and your local market as well as established networks of service companies to help you through this stressful process. What’s more, the risk is all their own. If they don’t sell your home, they don’t get paid. 1) Historically, owning rental property is a great investment but it’s not without pitfalls. When deciding whether to rent or sell your home, determine whether you can cover your mortgage with rent, if the property will appreciate and if you want the challenge of managing renters. 2) In a buyer’s market, sellers are less likely to have issues with contingencies and may be willing to take more risks to sign a contract. A seller’s market favors buyers who have already sold their homes and can make a cash offer. 3) The square footage, number and size of the rooms, condition of the structure, lot size and condition, current housing market conditions and location factor most heavily into a home’s value. 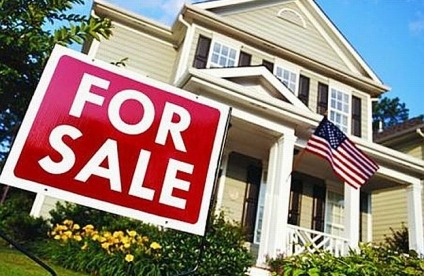 4) Selling your home yourself can save money, but also requires a lot of time and effort. Without the help of an experienced Sales Associate, you can make mistakes that will either delay or stop the sale of your home or decrease your proceeds from the sale. everything about their home’s exterior, even walking the property line. trusted him; they appreciated his willingness to go the extra mile. Jim had discovered a great way to set himself apart from his competition. to help people move into the home of their dreams led exactly there. continue to be the basis of our success. Founded in 1969 by Jim Weichert.